Sparks Gift Wholesalers - A wide Selection of Remembrance Grave Plaques, Remembrance Ornaments and Wholesale Remembrance Gift products. Wholesalers of Remembrance Windchimes, Gravestone Plaques, Gravestone Planters, Graveside Candles, Remembrance Angels, Cherubs and other figurines. We stock Remembrance Gifts for Grandparents, Mums and Dads, Husband, Wife, Brothers,Sisters and all family members.Please visit our sister website www.amalfiimports.co.uk for a wide selection of suitable Remembrance Statuary and Figurines including Angels and Cherubs suitable for all sentimental settings. The ideal giftware accompaniment for funeral directors and florists across the UK, Ireland and Europe. 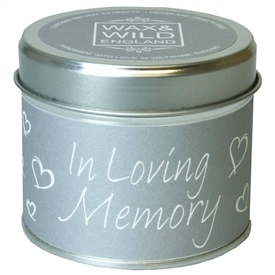 We all lose someone close to us at some time and what better way to remember them than a Sympathetic designed gifts that could be used in many memorial and sentimental arrangements. We have a wide and varied range of Remembrance gifts for all family members - Remembrance Plaques for Grandparents, Husband and Wives, Remembrance Gifts for Mum and Dads, Sentimental Gifts for Brothers, Sisters, Uncles and Aunts - Remembrance gift ideas for all breaved Family Members and Pets. Sparks Gift Wholesalers are one of the UK's leading distributors and suppliers of wholesale Remembrance gifts to the giftware trade. We stock Remembrance gifts for all Sentimental settings and decorative arrangements at wholesale gift prices to the gift and retail trade. Caring and Thoughtful, our varied assortment of bereavement and condolence remembrance gifts include: personalized sympathy gifts, sympathy angel figurines, memorial jewelry, sympathy gifts for the loss of family members, memorial photo frames, memorial wind chimes, pet loss sympathy gifts, and garden memorial stones, plaques, and markers.